90 Day Fiance: Before the 90 Days’ Paul Staehle found out the hard way that you can’t pick your in-laws. It was a rude awakening for Paul after his new brothers-in-law ate him out of house and home. Paul’s recent big blowout with his wife Karine Martins on the show started over food or lack of it. Now Paul’s showing off pictures of himself losing weight. Did they really leave Paul Staehle without any food? Fans are having a field day with this online today. In a recent post, Paul shared a picture of himself to show how he’s getting back in shape. He stated online that “I really let myself go after marriage.” It appears he is dieting and doing some exercise to get himself back in shape. But that’s not how some fans are taking his weight loss. Now that he is dropping weight fans are split over this. Some viewers of the show offer their support for Paul’s new weight-loss endeavor by cheering him on. But the armchair comedians find it astounding that he’s dropping weight after his brothers-in-law cleaned him out of groceries. 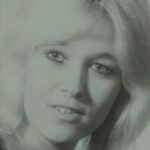 Paul Staehle blew a gasket after finding out that Karine Martins’ brothers feasted on the groceries that he purchased. They were his groceries and not meant for Karine’s brothers to devour. Furthermore, he let Karine Martins know this in no uncertain terms. As a result of this fight, fans got to see Paul Staehle all decked out in his cooling vest as he chased his wife up and down the streets of Brazil. That scene conjured up quite a few comments from the 90 Day Fiance fans across the social media. Was he wrong or was he right when he verbally attacked his wife over her siblings devouring their groceries? 90 Day Fiance – More Than Food to In-Laws? In many countries, food means more than something to eat when it comes to families. You’ve seen it in the movies how elderly moms from Italy, Ireland, and Spanish speaking countries are always trying to feed their loved ones. Food doesn’t equate to money once it is home and in the refrigerator or cupboards. Food is not something to fight over in many cultures and it looks as though Karine found this very offensive. It appears that Paul insulted Karine and her family with his fury over Karine’s brothers sharing the food. Karine ran off to her aunt’s house in a huff and refused to see Paul again. 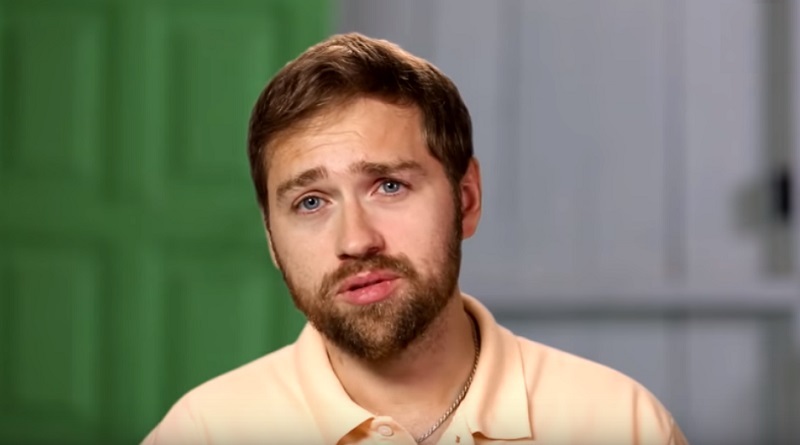 Paul felt defeated when he called his mom for advice, according to the clip from TLC, which is seen below. Editors Note: The last episode of 90 Day Fiance revealed Karine miscarried a baby and had to have a D&C. The pregnancy in this article is a different pregnancy that is much further along and healthy. Paul didn’t hear from Karine Martins again until she went to the clinic to confirm her pregnancy. She called and asked him to meet her there as she waits for a blood test. She was just confirming what her home pregnancy test indicated… she’s pregnant. Don’t forget, what you see on this show happened quite a long time ago. In real time Paul and Karine’s marriage is way past the honeymoon stage. Paul Staehle recently confirmed that Karine Martins is pregnant. He finally revealed this after teasing the fans by obstructing the view of her midsection in photos he posted online. You can see this in the post below. It’s probably not easy to keep the last several months of your life secret until 90 Day Fiance rolls out the footage taken back at the beginning of the year. Paul showed his weight loss journey in very recent pictures. But it just so happened it was during the same week that the couple’s fight over the food aired on 90 Days Fiance. 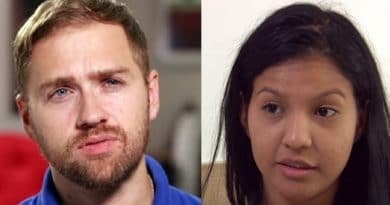 90 Day Fiance – Paul’s Diet Thanks to Karine’s Family? It was the perfect fit for the fans to start jabbing Paul Staehle about his diet being forced upon him after Karine’s family emptied out the cabinets. He did insult Karine and his wife’s family but it looks like they’ve made up. The evidence is in his latest pictures showing the two seemingly happy. The several couples along with their struggles are what makes 90 Day Fiance a Sunday night TV destination. It is hard to keep in mind that what you are seeing today happened months ago. Despite their lives being very different today than what you see on the newest episodes, 90 Days Fiance is a show that’s addictive. Check back with Soap Dirt often for more 90 Day Fiance: Before the 90 Days spoilers, dirt, and news!